With this tip you will be able to work from home using VPN and that too from Linux / FreeBSD system for the proprietary Microsoft Point-to-Point vpn server. 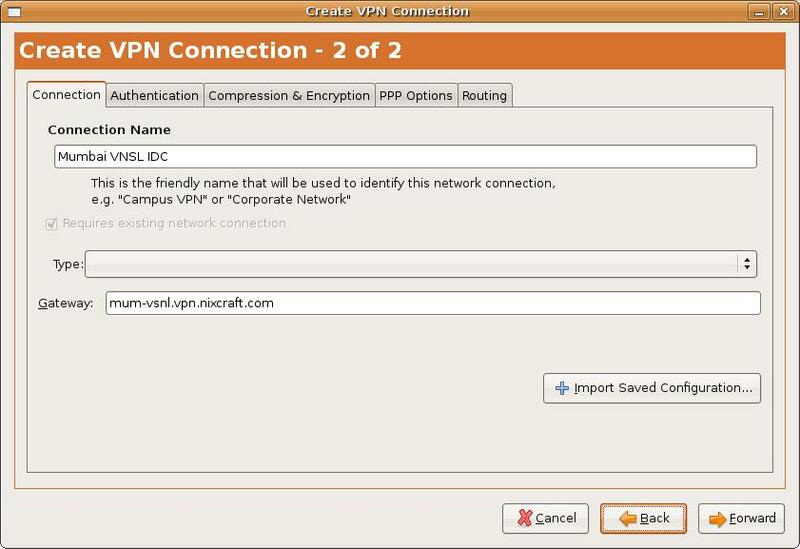 Different organization uses different VPN connection options such as SSL, PPTP or IPSEC. 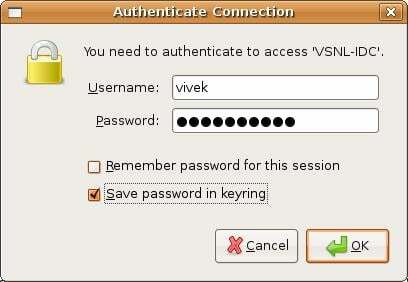 When you need to access corporate network and its services, you need to login using VPN. The Point-to-Point Tunneling Protocol (PPTP) is a method for implementing virtual private networks. It works on Data link layer (#2 layer) on TCP/IP model. 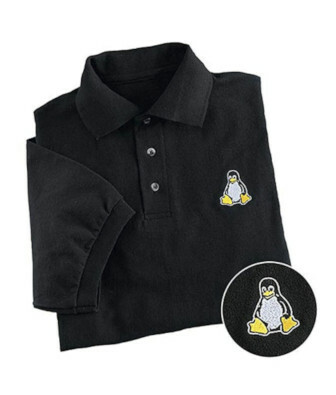 Personally I prefer IPSEC. PPTP Client is a Linux, FreeBSD, NetBSD and OpenBSD client for the proprietary Microsoft Point-to-Point Tunneling Protocol, PPTP. Allows connection to a PPTP based Virtual Private Network (VPN) as used by employers and some cable and ADSL internet service providers. But many originations use PPTP because it is easy to use and works with Windows, Mac OS X, Linux/*BSD and other handled devices. How do I install PPTP client under Linux? How do I configure client using command line (cli)? /etc/ppp/chap-secrets – Add your login name / password for authentication using CHAP. Pppd stores secrets for use in authentication in secrets files. /etc/ppp/peers/myvpn-name – A dialup connection authenticated with PAP / CHAP configuration file. You need to add your dialup server name and other information in this file. pty “pptp pptp.vpn.nixcraft.com –nolaunchpppd”: Specifies that the command script is to be used to communicate rather than a specific terminal device. Pppd will allocate itself a pseudo-tty master/slave pair and use the slave as its terminal device. The script will be run in a child process with the pseudo-tty master as its standard input and output. An explicit device name may not be given if this option is used. (Note: if the record option is used in conjunction with the pty option, the child process will have pipes on its standard input and output.). In this case we are using pptp client to establishes the client side of a Virtual Private Network (VPN) using the Point-to-Point Tunneling Protocol (PPTP). pptp.vpn.nixcraft.com is my host name (or IP address) for the PPTP server. –nolaunchpppd option means do not launch pppd but use stdin as the network connection. Use this flag when including pptp as a pppd connection process using the pty option. require-mppe-128: Require the use of MPPE, with 128-bit encryption. You must encrypt traffic using encryption. file /etc/ppp/options.pptp: Read and apply all pppd options from options.pptp file. Options used by PPP when a connection is made by a PPTP client. ipparam delhi-idc-01 : Provides an extra parameter to the ip-up, ip-pre-up and ip-down scripts (optional). How do I configure PPTP client using GUI tools? If the connection fails, you might need to gather more information and try out following troubleshooting tips. Q. I’m authenticated successfully but cannot route traffic..
Q. How do I open my local network (laptop, desktop and other system) to talk with any computer behind VPN server via this local Linux ppp0 interface (i.e. act this computer as router)…? Note: You can always get more information by reading pptp diagnosis howto here. As I said earlier I prefer to use open source solution such as OpenVPN or IPsec as they are more secure. The PPTP is not secure enough for some information security policies. Next time I will write about OpenVPN and IPsec. Please read pppd, pptp, iptables man pages.